Music appeared in the movies in the days of silent movie. Light entertainment motives was accompanied by the “moving picture” to cover the crash of the projector. What does the music for the film NOW? At first glance, it seems that its role is secondary. Well, if you think about it? Did you happen to watch a movie where everything is on top and the story and the characters – but something, and left you out of the theater with a mediocre impression. And Vice versa? Not sparkling novelty and cast you suddenly watched, transfixed, and took him deep within himself. I have been there. And I do know that there has not been without music. The fate of music and drama are closely intertwined in the time of the ancient theatre. Their relationship has moved to a new level with the advent of Opera and ballet. The theatrical play the role of music was more modest, but she had an important task to complete emotionally what is happening on stage. Music is responsible for the background while mono- & dialogues, creating a kind of unity of feelings of the hero and the viewer. I have a very important criterion in the evaluation of the film is “atmospheric”. Here it is, along with landscapes and scenery, and gives us great chosen/written music. And it is the missing piece of the puzzle when it seems to be a quality film stalled on the way to your heart. Music is the conductor of everything that wants to tell the Director. And she, incidentally, is also often won from this “cooperation”. How many famous songs, after hearing that, I want to enthusiastically squeal just because of the Association with a favorite movie? But a classic? She literally gets a new life thanks to the film. In General, whether it be orchestra (the pomposity of the moment), solo instrument (intimacy and lyricism), a synthetic motifs (an essential edge in thrillers), just a cool soundtrack, which is inserted in the right place and you will remember for a long time. Anyway, the film is without music in any way. And the main thing, as they say, at the right time and in the right place. Here’s a dozen of the most, in my opinion, recognizable (and beloved! isn’t it?) soundtracks from the movies: The Righteous Brothers — Unchained Melody (Ghost/Ghost (1990) Written already in 1955, the song was performed and Elvis Presley, and Roy Orbison. Who knew that you created it was just for this film of 1990. Well, personally, I am pleased to think so. Who watched the movie will agree: the song is like a reflection of weightless soft “Cast”! John Williams — The Imperial March (Star wars/Star Wars (1977) the Imperial March in the list on the right. Immortal leitmotif of Darth Vader perfectly depicts the essence of the character, and the whole idea of the film. Cannot help but admire the work of John Williams. The British Academy, by the way, too could not — the Award is named after Anthony Escueta for achievements in creating music for the film. Oscar – for best original soundtrack. Aerosmith — I Don’t Want To Miss A Thing (Armageddon/Armageddon (1998) the case when the unspeakable benefit both sides: the film acquired a chic business card, but the song became a hit, raising his band Aerosmith at the top of the charts. Adds to the charm and the fact that soloist Steven Tyler is the father of the main heroine of the film. Roy Orbinson – Pretty woman (Pretty woman/Pretty woman (1990) Song gained recognition for a quarter century before, when as much as three weeks flaunted at the top of the Billboard Hot 100. The movie reminded the world about this masterpiece and acquired more than a good soundtrack: the feeling that Roy Orbison was staring at ditzy heroine Julia Roberts when he wrote the song! Bill Medley and Jennifer Warnes — (I’ve Had) The Time Of My Life (Dirty dancing/Dirty Dancing (1987) Here at the bomb! Golden globe and Oscar – all for best song. Surprise these awards do not cause. Watch the movie, listen to a song, there will be no doubt: they were made for each other – the ultimate romance and the crazy drive! Well, that all corresponds to the name of the film. Brad Fiedel — The Terminator theme (Terminator 2: judgment day/Judgement Day (1991) brad Fidel also really did not miss, inventing the subject. It sparks the metal power, hidden threat, and a bit of the lyrics – all that is chic and the second part of “Terminator”. Which, incidentally, is also rare when a sequel doesn’t lose quality, and almost Vice versa. 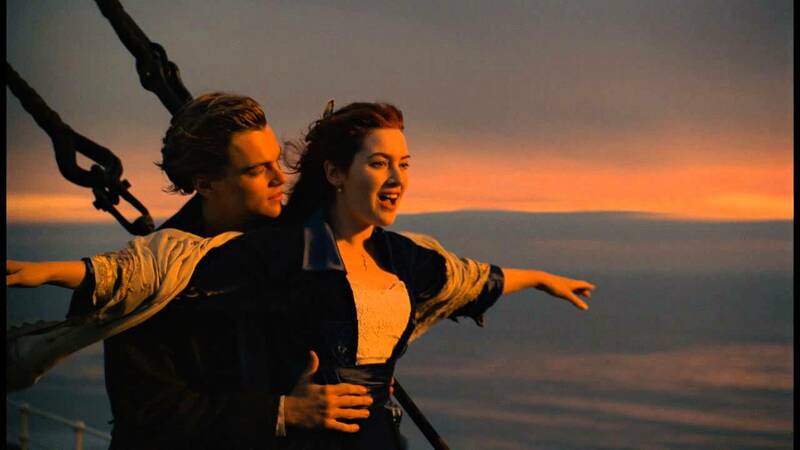 Celine Dion — My Heart Will Go On (Titanic theme/Titanic (1997) it was Naive to believe that you will not find here the song. And it’s not trivial, it is a legend in the world of soundtracks, if you want. How many tears shed under it, the same, I think, and admiration experienced by me. What else to say. Oscar. 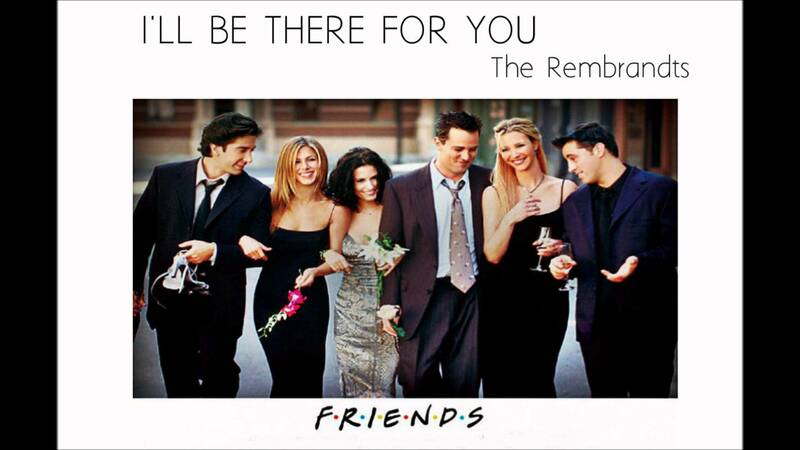 The Rembrandts – I’ll Be There For You (Friends/Friends (1994-2004) Here not and could not appear in the song. But the TV series “Friends” it does not appear he could, if not for two little-known guys! How nice that they gave us this miracle. And his own, by the way, snapped off. The famous TV series the band has become famous. And the song, along with the sitcom sunk into the soul of the world! Yeah how can you not forget about all sorrows, only hearing the first chords?! Survivor – Eye of the tiger (rocky 3/Rocky III (1982) Once musicians Survivor, deciding to listen to your answering machine, I heard: “Hey Jim. Here for you good news. It’s Sylvester Stallone.” The dream was a reality, and soon the group had written a beautiful song for the third part of “rocky”. The aim Stallone was to create a soundtrack that would have helped the film to reach out to young hearts. The goal was achieved with a vengeance. To this day I want to move mountains for this song! John Barry — James Bond Theme (Dr. No/Dr. No (1962) Well, spy a little charm! Under this common melody decides its triumphant way by none other than bond. James Bond. The song was so vivid and memorable that the creators of James bond turned to John Barry for the music to ten parts. One hundred percent hit. Reamonn – Weep (the Tariff for the moonlight/Mondscheintarif (2001) What? This is not the end? No. For dessert, offer the not-so-famous soundtrack. However, as he intertwined with the movie, is worth your attention! The band “Reamonn” appear directly under the window of the heroine, and then in her apartment. They sing as if comforting her. And then just evaporate as suddenly as they appeared. It’s like a clip inside a movie! A delightful course.